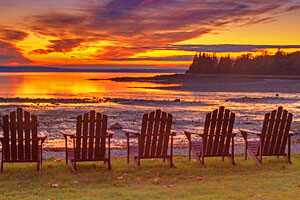 Enjoy picnicking and swimming at one of mid coast Maine's most popular day use parks. Damariscotta Lake State Park is an ideal location for that quiet time away from crowds where you can enjoy the natural surroundings that include great views of the Atlantic Ocean, a 14-mile long lake, swimming and boating, fishing and wildlife viewing. Found on Maine State Route 32 in Jefferson County, Damariscotta Lake State Park has a sandy beach for swimming complete with a lifeguard. You can also make use of the group use shelter and large activity field. There are restrooms, fresh drinking water, grills and picnic tables. The younger members of your group will enjoy the small playground. The Park is a day use only facility and is generally open from Memorial Day through Labor Day each year. This is the spot for great fishing and fantastic family fun!